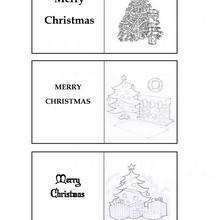 You can print and color these cheerful [Christmas] present labels to give your Christmas gifts a personal touch. 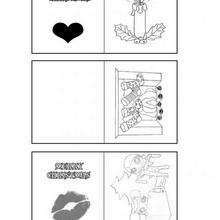 The printable holiday gift tags coloring activity is a great way to get kids involved when wrapping and giving a gift. 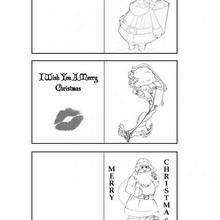 There are many holiday gift tag themes to choose from: snowman theme, Christmas tree theme, Santa theme and other Christmas theme gift labels that are sure to be a big hit and a lot of fun to color. 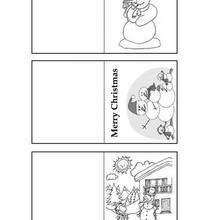 Use the Christmas gift tags to make name tags, or as fun holiday notes to be placed in a Christmas advent calendar. 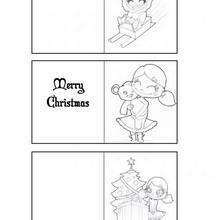 Print these adorable gift tag printables and bedazzle every present you give.